Kay-Nah-Chi-Wah-Nung offers both guided and self-directed tours of our Interpretive Galleries and our extensive trail system. 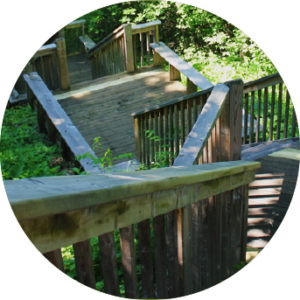 Guided tours are facilitated by trained heritage interpreters, and visitors will learn about the history of the mounds and the people who lived here. Throughout the winter, our Galleries are available through private bookings and our trails are open and accessible with skis and snowshoes which can be rented from the Roundhouse. Call or e-mail us to book your tour today!